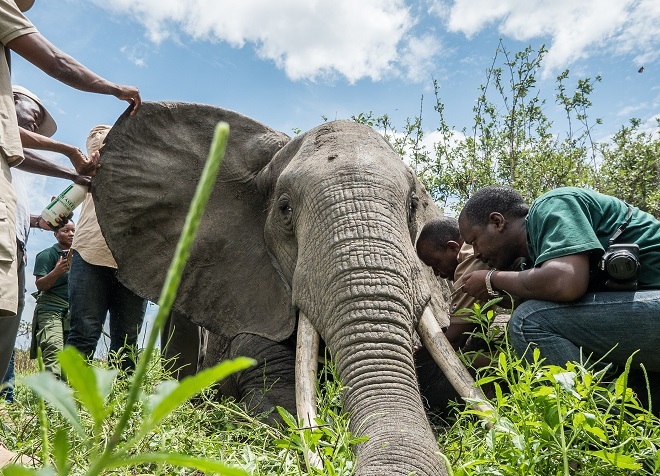 Tanzania (WWF) – In Tanzania, the government, with support from WWF, has launched the country’s largest ever elephant collaring effort to protect its dwindling elephant population. With almost 90 per cent of the elephants lost over the last 40 years in the Selous Game Reserve, a World Heritage site, enhancing rangers’ ability to guard the remaining ones from poaching is essential to rebuilding the population. Selous. This will enable reserve management and government rangers to track elephant movements, identify and act against threats in real-time. The use of satellite collars is a proven effective measure to monitor wildlife movements and provide enhanced security. The data collected through the collars will help teams predict where the elephants and their herds are moving to anticipate the dangers they may face, such as the risk of encountering poachers. It can also alert teams if the herd is heading toward community settlements to help move them away from farmlands and reduce the risk of human-elephant conflict. “The key to the success of elephant collars is ensuring all relevant teams have access to the data to help inform decision making. The project will provide secured elephant movement data on a mobile phone to enable key security and research personnel to access the data. In the past 40 years, rampant poaching of elephants for ivory has seen the population in Selous decimated, with numbers plunging to around 15,200 from 110,000. In 2014, UNESCO placed Selous on its List of World Heritage in Danger due to the severity of elephant poaching. 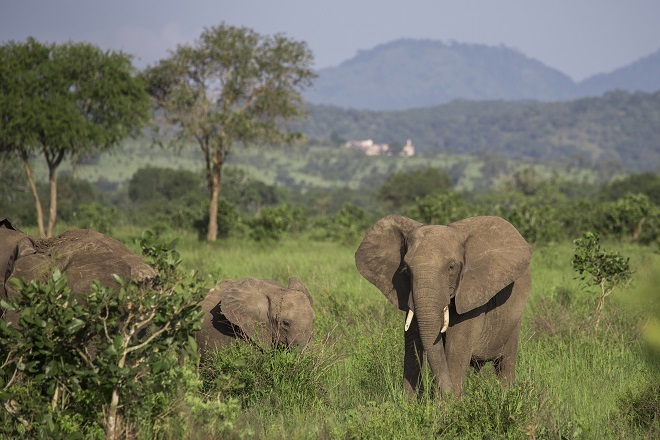 WWF is working with the government to adopt a zero poaching approach using a tool kit to protect the country’s elephants and ecosystems in one of Africa’s last wilderness areas. Zero poaching involves not just tackling poaching incidents but identifying the signs of poaching activities like snares and poachers’ camps. On the ground, it involves action on several key areas; from ensuring there are enough properlyequipped rangers to working closely with the local communities surrounding the protected area. It also includes working with prosecutors and judges to ensure that when poachers are brought to trial they face penalties that can act as a deterrent. Last week, two elephants from the Selous Game Reserve population were collared in the adjoining Mikumi National Park. To collar an elephant, the animal is first sedated by an immobilisation dart. 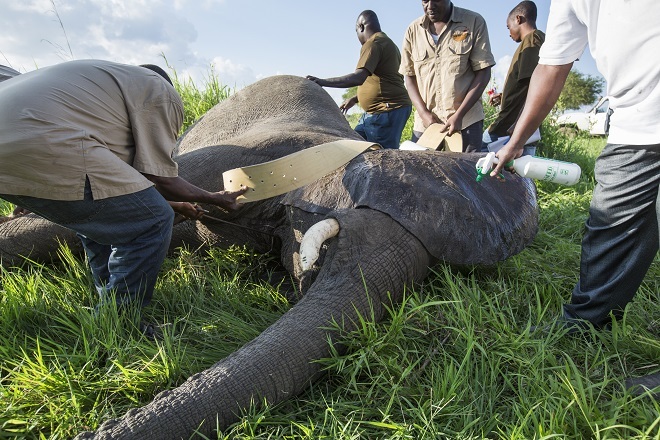 When the elephant is sedated, the team moves in to attach the collar while gathering health data about the elephant. This takes a total of up to 30 minutes, following which the elephant is given an antidote to revive and join its herd. Ongoing since 20 March, the elephant collaring activity will continue until November 2018. Why is it so stressful to talk politics with the other side?